As is well known bishop J. E. Gunnerus contributed substantially to the study of natural science. Less known is his contribution to the study of contemporary Norwegian language. 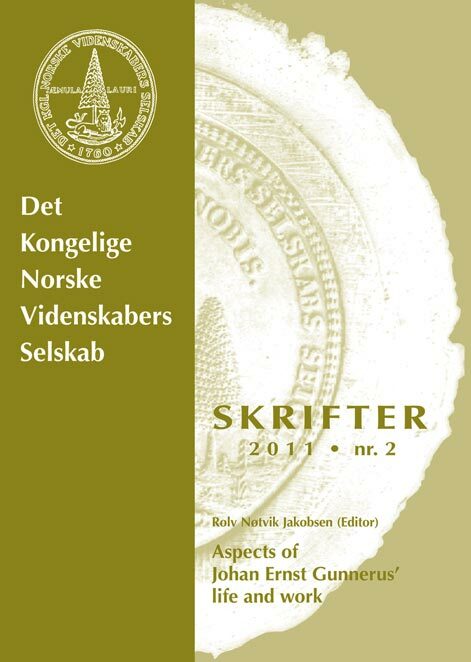 Even if restricted in scope his contribution to the study of Norwegian dialect words deserves attention. A collection of dialect words preserved in the University Library of Trondheim, the Gunnerus Library, was not published till 1980 – a piece of work inspired, as pointed to in the present contribution, both by physico-theological ideas and work in the same field by Gottfried Wilhelm Leibniz.